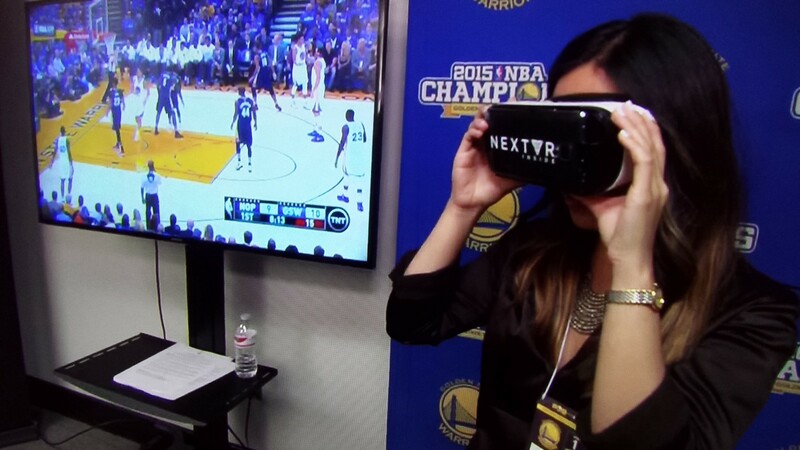 A year ago I left NextVR, one of the fastest growing virtual reality companies in the world. When I joined in 2014, we were just getting started with pioneering live entertainment in virtual reality. Endless possibilities lay ahead of us. During my time there we raised over $100 million, and formed partnerships with huge organizations like the NBA, FOX Sports, Live Nation, and even Oculus itself (and since I left they have continued to successfully trail blaze in this brave new world, and I am so proud to have been a part of it). I had never been a part of anything like this before, and it was an amazing experience, it gave me the ability to work with world class talent, see how large partnerships are put together, and travel the world evangelizing virtual reality at events, conferences, and even one time on TV. So, why did I leave? The team was amazing, I love virtual reality, and we were leading the industry. I left, because I wanted to start something of my own, and not only that, I wanted to start something that would let people use virtual reality to create magical things. I thrive on culture, and in my life nothing could be more rewarding than enabling more of it. The only problem was that I wasn’t exactly sure what kind of culture I wanted to help people create — not only that, I didn’t know how I would do it. So in June of 2017, I set out on a mission to find the answer. I began to travel to all four corners of the world in search of the role where I could have the largest impact on using virtual reality to accelerate human expression. I explored everything from creative apps for broadway musicals, to creating a publication, to joining one of the top headset makers. Today, I am excited to announce that I have found what I have been looking for. I have co-founded something that will enable me to give people the ability to prototype immersive places and experiences without the limit of physical space or materials. Our name is Moment, we are backed by Boost VC, McCune Capital (Jason Cahill), Jesse Kao (former Point72 Hedge Fund Investment Analyst) and we are making it possible for any designer in the world to become a magician who can pull objects out of thin air. I am creating Moment alongside my incredible co-founders, Michael Markman (CEO), James Korin (CTO), and Joe Dolan (Lead Engineer). 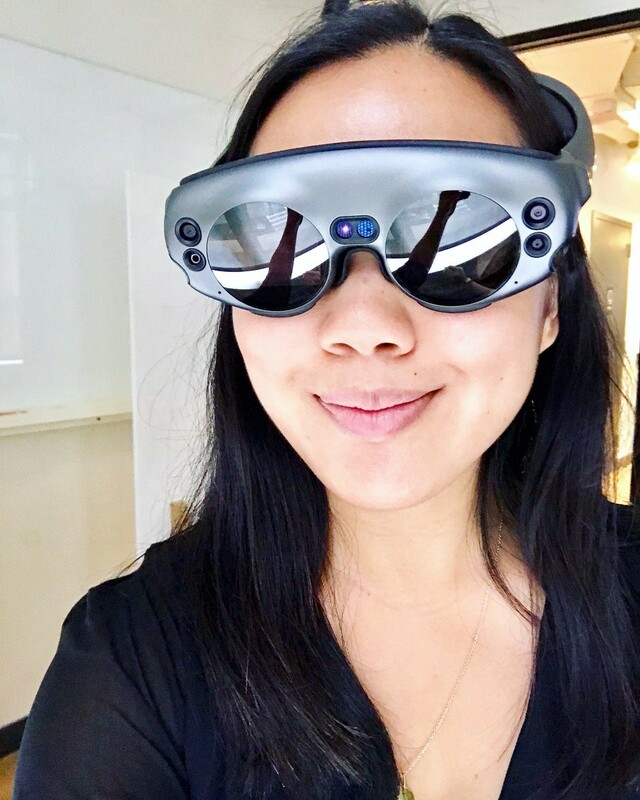 It is a mind-opening prototyping tool for designers working on virtual reality, augmented reality, physical spaces, and more. If you are currently working in any of these fields, and you want to join our beta, please let us know. How does it work? Let me explain. If I told you to design the inside of my living room, how would you start? What if I asked you to design a video game or a virtual reality app? Chances are, you would grab a pencil and paper, or pop open your favorite program on your computer, and design my living room, video game, or virtual reality app on a flat surface. 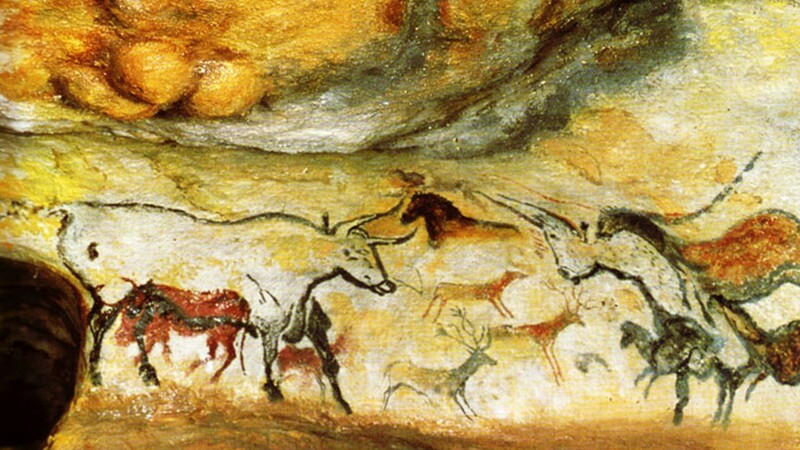 And this isn’t new, for the past 40,000 years, since the first known cave drawings from early homo sapiens, 3D expression has been trapped in a flat format. But why? Is it because drawing is the best way to prototype a 3D space or experience? No, of course not. We have been forced to design in 2D because of a limitation of technology. If we had it our way, we would all be magicians and ABRACADABRA, just like that, we could wave our hands around and magic up the new layout of my living room. This would be the easiest way to prototype ever. This is why my team and I are spending all of our time making this possible. But really, why do we need this now? If you’re already developing for virtual reality, you probably understand the pain point, but for those that don’t, I will explain. Designing 3D in 2D while trying to pretend it’s 3D is a taxing exercise. Yes, people have become exceptionally skilled at it, and that’s where our favorite animated films and video games have come from, but it is a stressful practice. 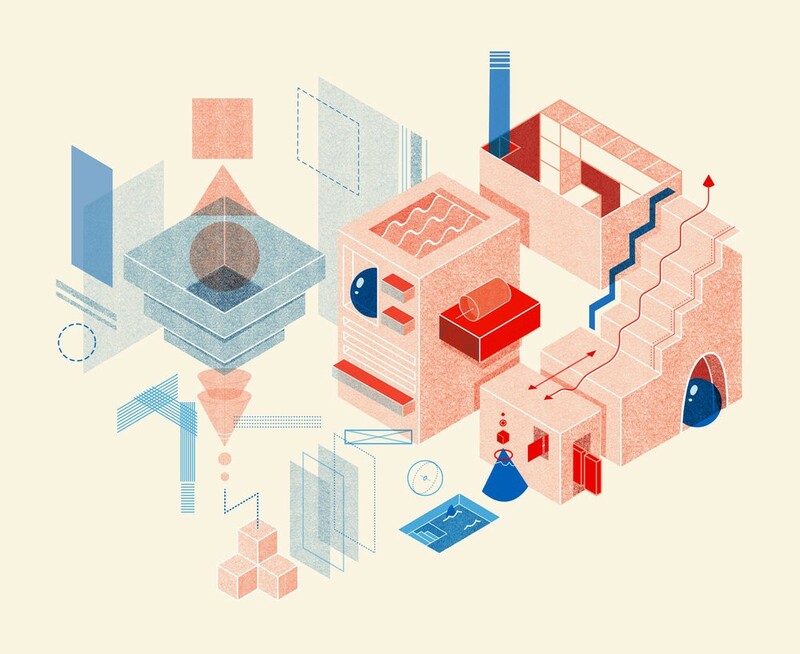 You can’t quickly prototype and iterate complex 3D/360 ideas without learning to code. Even if you have taken the time to custom develop a prototype, it is near impossible to send it to your team or client in a way they can easily view it and give feedback. There is no streamlined and non technical way to collaborate with your team or client on design critiques, user testing, and storyboarding sessions. By removing these barriers with an immersive prototyping tool, we believe that creators, no matter their skill set or technical level, will be able to quickly “wireframe” their ideas, send them to any member of their team or client’s team, and get quick and useful feedback. These are the problems we are tackling now, but it is only just the beginning. There are so many more ways to improve this experience and expand it’s reach. Right now, we are focused on creators who would find it useful to prototype and storyboard their next virtual reality creation in an immersive virtual reality experience. This allows us to build an incredible solution for a very specific use case. But in the future, this will change. Not only will interior decorators, film directors, and broadway producers be able to utilize Moment, but eventually the majority of interface design will be prototyped in this immersive environment. Why? Because in the next 5–10 years the world will be full of virtual and mixed reality applications. Instead of everything being on flat physical 2D screens (computers, phones, and televisions), humans will constantly be taking in information overlaid on top of the real world. Education, entertainment, communication, and business, will all be built on top of this new interface, meaning that prototyping for immersive user interfaces will become more popular than the creation of mobile apps and websites. It’s not going to happen overnight, but it is going to happen. Want to start using Moment? Let me tell you how. Right now, we are in private beta working with a small group of some of the top creators in the virtual reality space. But we are ready to grow. The reality is, that we aren’t just building Moment for ourselves, we are building it for you. We need to know more about how you currently design, how you want to design, and how we can make you better, faster, and stronger. Our team is ready to hear your feedback, make improvements, and together, create the best prototyping environment for immersive experiences. If you are interested in working together, we would love to talk to you. We can’t give everyone access just yet, so the sooner you reach out the more likely it is that you will be added to our beta. I also want to remind everyone that we are still in the very very early days of virtual reality. These things take time! Stay at it, keep pushing, and adoption will follow. To steal a line from Facebook, we are less than 1% of the way there. I’ve gotten to know a lot of you over the years, and we’ve become family, but I strongly believe our best days are still ahead of us. If you’re going to a virtual reality event, or coming to New York City, I will see you soon. p.s. If you ever want to chat, about anything, reach out to me here to set up a 15 minute call, [email protected], or reach out on Twitter . You can also reach out to me on Instagram, but I’m mostly there to to post pictures of New York City and my ridiculously cute dog, Penny.